Alan Joyce has received a 56% pay cut but before you get too concerned, he still took home $10.9 million. It’s just that this year his bonuses were far less generous. Last year he received a massive bonus of $20 million under a share incentive scheme for resurrecting Qantas financial fortunes pushing his salary out to a record $25 million. This made him one of only 5 CEO’s to ever get a pay packet of over $20 million in one year. Workers also haven’t fared as well on the bonus front. Qantas employees did receive a $2500 bonus however unlike management who get their bonuses straight away $2000 of this bonus is conditional on them signing new EBA’s. Workers and their unions are furious claiming that this looks like a bribe for future wage negotiations. As well, union members like the Flight Attendants Association whose current wage deal does not expire until 2021 will have to wait over 3 years to get the bonus. Workers who leave Qantas in between will not be eligible. There are several new EBA’s due to expire in 2019, including those with the engineers, pilots and baggage handlers. It’s going to be interesting to see how negotiations pan out and to see if these EBA’s are settled as amicably as previously. Last time around workers agreed to an 18-month wage freeze as a result of Qantas’s loss in 2014. 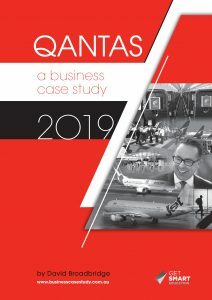 Not the case now with Qantas recording record levels of profitability. Workers undoubtedly will want their share.